Herbert George Wells (1866-1946) was a prolific English writer of science fiction stories and novels and is frequently credited as being the father of science fiction. 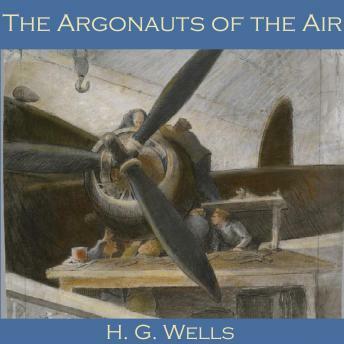 "The Argonauts of the Air" is the tale of Monson, an eccentric millionnaire with a passion for engineering, who is determined to invent the world's first flying machine. As his attempts run up against endless hurdles and delays, he becomes the laughing stock of London, but this only spurs Monson on to attempt the maiden flight of his marvellous machine.